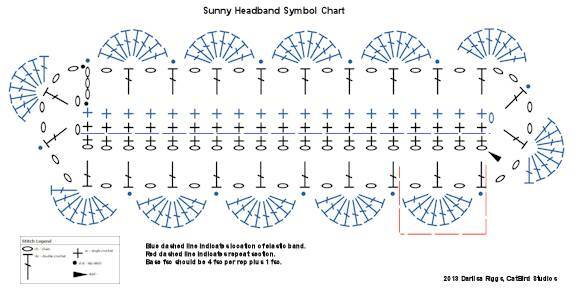 The first issue I came across was figuring out how to get a base chain on each side of the band. After some thought, I realized that making a base chain using a foundation single crochet would make a great start and provide a good base sc to work into when going around the band. 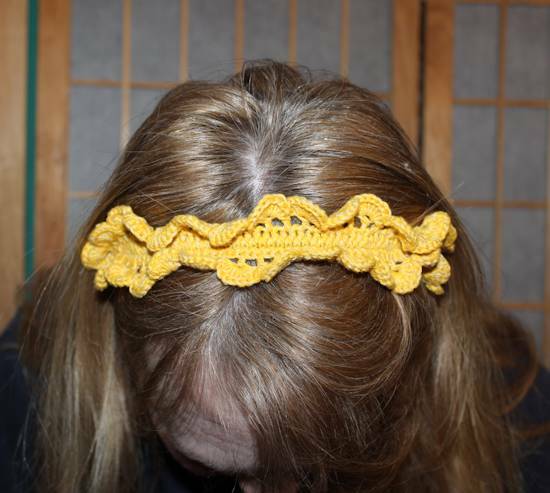 You can also use the same technique to use just about any crochet edging instead of the pattern used here. You can use just about any yarn or thread you like, just be careful that you don’t choose a yarn that is too bulky or you’ll lose the look that a lacy edging gives you. Increase or decrease in groups of 5 fsc. 1. Make the base ch then crochet around the band as shown in round 2, side 1 making sure you insert the hk into the back lp only of the base ch. 2. 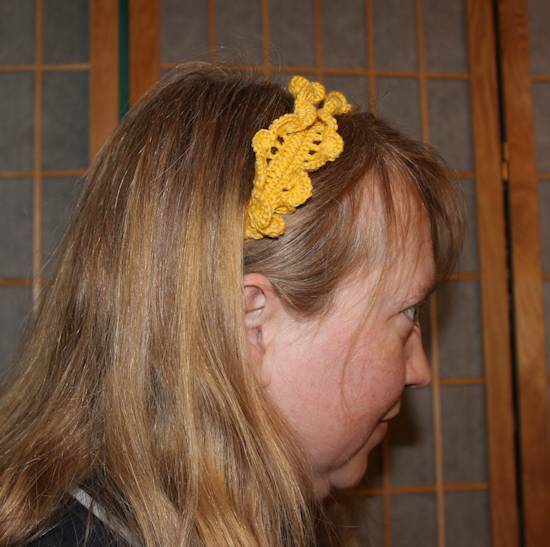 Instead of making the base ch, make an fsc base ch and crochet around the band as shown in round 2, side 1. Please note that the base ch needs to be long enough so you cover all but 2″-4″ of the unstretched elastic band, depending on how much of the band you want to cover. It might be helpful to measure across the top of your head from ear tip to ear tip and just make sure the base fsc is close to that measurement. Repeat for this pattern is 4 fsc for ea rep plus 1 fsc. 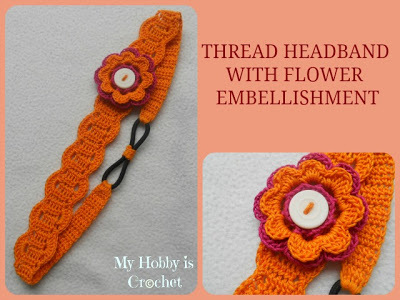 Alternate Headband Construction If you prefer a headband where the crochet part is not made around an elastic headband but only has a smaller elastic ponytail holder at the ends, click on the image below for a free pattern from “My Hobby is Crochet.” Image and link used with permission. Round 1, Side 2 Fsc 65. Round 4 Turn, sk dc you just joined into, *8 dc in next dc, sl st in next dc,* rep from * around both sides, joining with sl st in first dc of side 1. Fasten off. Download PDF version of chart. Print on 8.5″x11″ paper.